PC Matic MSP/PC Pitstop today announced that it is sponsoring the upcoming MSPAlliance MSPWorld™ Conference in Las Vegas. Recognized worldwide as the premier gathering for managed service providers (MSPs), the Managed Services Conference is being held at The Cosmopolitan of Las Vegas on October 15th-17th. 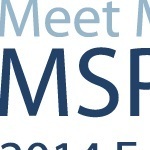 Sessions at the MSPAlliance Conference will address a wide range of topics, including pricing, cloud computing, automated service and support, security and data protection. Comprised of nearly 25,000 member companies, The MSPAlliance is committed to increasing the reliability and dependability of managed mission-critical IT services. Through the industry’s only accreditation program and code of ethics, the MSPAlliance empowers companies to improve their respective return on investment in technology procurement and implementation. PC Matic MSP, Press pcmatic msp. permalink.